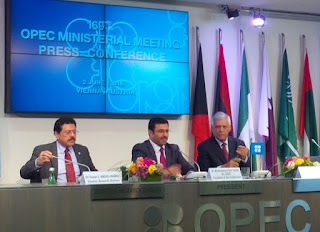 The 169th OPEC ministers meeting has concluded in Vienna, Austria with the producers' collective yet again failing to reveal its 'official production quota'. But analysts took heart from the fact that OPEC finally appointed a new Secretary General - Nigeria's Mohammed Sanusi Barkindo - to succeed Abdalla Salem El-Badri. There might well be discord with respect to Iran's bid to ramp production up to 4 million barrels per day, but the appointment of a compromise candidate as Secretary General is definitely a step in the right direction for us lot in the analyst community. OPEC also observed that since its last meeting in December 2015, crude oil prices have risen by more than 80%, supply and demand is converging and oil and product stock levels in the OECD have recently shown relative moderation. Additionally, Gabon will be readmitted to the OPEC fold with effect from 1 July, taking OPEC's membershp up to 14, having already readmitted net oil importer Indonesia last year. Finally, the next OPEC meeting is on 30th November. That’s all for the moment from Vienna folks! Keep reading, keep it crude! © Gaurav Sharma 2016. 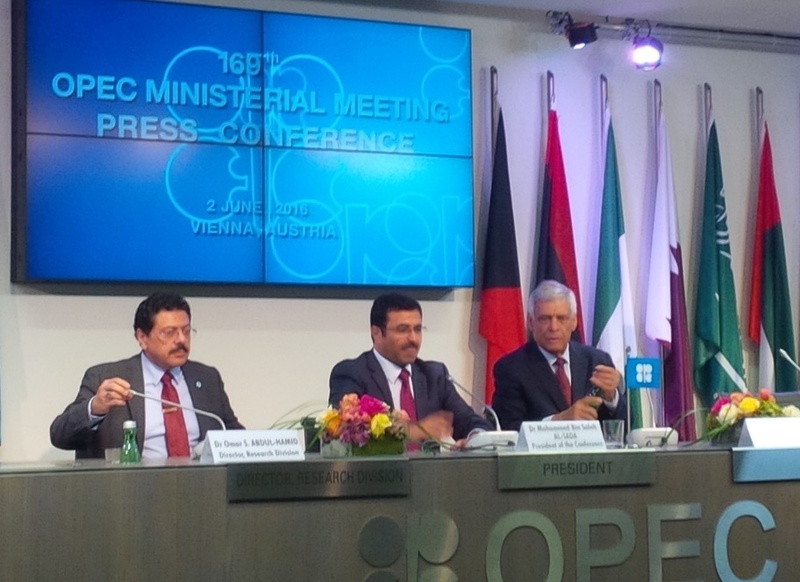 Photo: Press conference at the conclusion of OPEC's 169th Ministerial Meeting in Vienna, Austria © Gaurav Sharma, June 2, 2016.